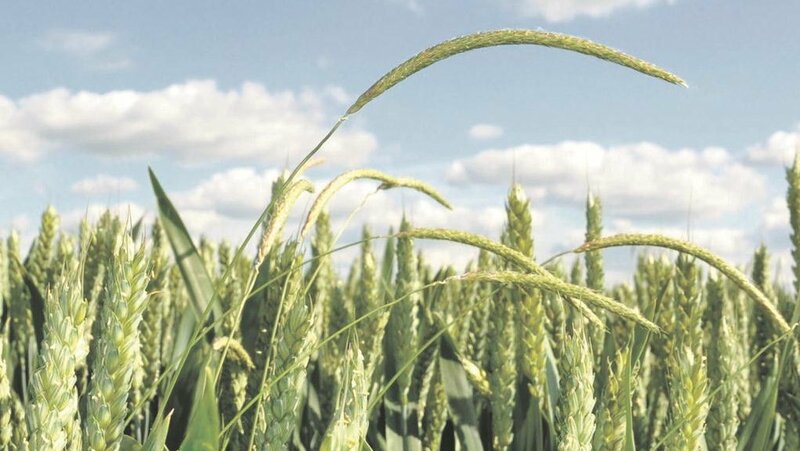 Black-grass appearing for the first time on farms which have not previously experienced it will almost certainly be resistant to herbicides, according to leading expert Stephen Moss. Stephen Moss has about 45 years’ experience working on black-grass, previously at Rothamsted and now as an independent consultant. He says: “Recently, I have been presenting in Ireland, where they are seeing blackgrass both north and south of the border. It is also appearing in other areas where it has been less prevalent than previously, such as the west and north of England. “Whether it is brought in through straw, seed or machinery, I think there is a high chance it is already resistant. “We do not have definitive proof on this because testing for resistance is rarely carried out. “However, there is strong evidence the introduction of black-grass into these areas is a result of contamination. This article is the first in a series of three which will look at evidence of the spread of black-grass outside traditional areas in the east of England, and how farmers seeing black-grass for the first time can respond. AHDB Cereals and Oilseeds has identified the presence of populations of black-grass in Scotland. According to the organisation, there are populations of black-grass naturally present in Scotland, although their abundance is lower. Testing has identified resistant black-grass in the Borders, and it says with more than 20,000 farms in England having confirmed black-grass resistance, the introduction of resistant black-grass from south of the border is likely to be a more significant threat than the development of resistance in native populations. Black-grass is now one of the most prevalent weeds in England and is causing significant problems, particularly to growers in the South and East. Although individual plants are not highly competitive, it is the high rate of seed production which makes it such a threat. Populations can rapidly increase and threaten yields by 50% or more. Changes in cropping patterns seem to have driven the increase in black-grass, including more autumn cropping, earlier drilling and the trend toward mintill. Black-grass can only emerge successfully from the top 50mm of soil, which is why the greater use of min-till has encouraged the problem. Added to all this is a picture of increasing resistance to herbicides. Dr Moss says resistance was first seen as long ago as 1982. “Over my career, dealing with black-grass has become more challenging due to resistance. Today, I think there is some degree of resistance on virtually all farms which spray regularly against black-grass. This situation is unique worldwide. “It is not absolute, and herbicides can still have some effect. However, resistance is a ‘one-way’ ticket. “We have never had any evidence of resistance disappearing once it appears. “We have seen new herbicides coming in, but resistance has built up to them and now we do not have any new modes of action emerging. Head of agronomy for Agrii Colin Lloyd acknowledges black-grass is no longer just a problem affecting the east of England. Agrii has been conducting extensive trials on black-grass at its Stow Longa site, including working with machinery manufacturer Lemken on cultivation strategies. Mr Lloyd says: “Ten years ago, I would have spent most of my time in the east of the country talking about black-grass, but in the last five years, I can talk about it in the Scottish borders, across into Wales and down into Devon. “We are seeing resistant black-grass in all those areas. At our open days at Stow Longa, we have more than 1,000 farmers from all over the country who are coming to work through their black-grass strategy. It is pretty endemic now. “For the people coming to our open days it is simple really, it is a matter of cultural control. Chemistry has a part to play, provided it is done right, but if it is done wrong, it is a waste of time. “We started cultural control experiments in 2004. It included things such as the use of stale seedbeds and glyphosate – using enough glyphosate to control weeds. “Then we started to look at different varieties of wheat and seed rates. We found some varieties are more competitive than others and we are continuing this work. “None of these things work in isolation and it is a process, but I think people are learning quickly. You can see good results this year. “The trick is to carry out all cultivation after harvest, then leave it. Glyphosate, then do not drill before the beginning of October, using the right seed rates and varieties. Then get pre-emergence herbicides on in the right conditions. “The difference between drilling in the third week of September and the second week in October can be as much as a 50% reduction in black-grass." 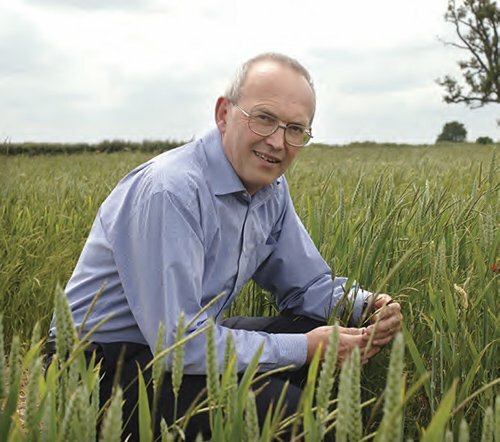 Richard Cromie is an agronomist who works for Crop Management Partners in the Wiltshire, Hampshire and West Sussex area. He says the situation with black-grass is not nearly as bad as it is on the eastern side of England, but nonetheless he has black-grass on all the farms he deals with. He says: “There has been black-grass with confi rmed resistance on all our farms since I started working in this area in 2001. “It is not as bad as it is in the east of the country, but we have had to resort to recommending different rotations and cultivation techniques. “It is particularly bad on two of the farms I look after. We have found ploughing helps, but it is diffi cult to plough on heavy clays and those are the areas where black-grass is particularly prevalent. “We have found late sowing is helping. By drilling in November rather than September, the pre-em is more effective and means we do not have to do any post-em spraying. “Other things worth considering are changing rotations and bringing back spring rotations. Even then, it is important not to cultivate in spring, but do all this in winter, and when you do drill do not move too much soil. “Ploughing can be used as a ‘reset’ button, but still drill later. Then for the next two to four years, do everything shallow.